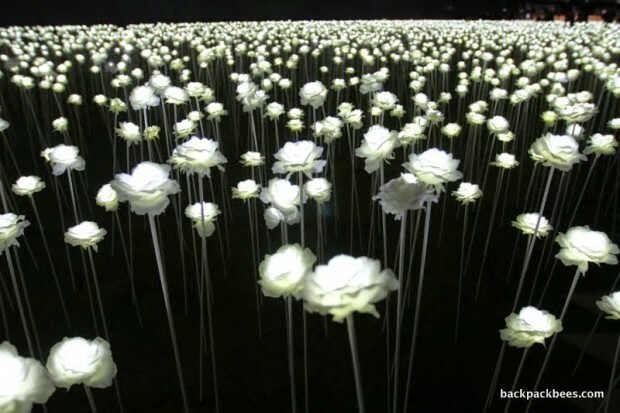 I recently the Dongdaemun Design Plaza, also called the DDP (see prior post) and sought out the enchanted flower garden exhibit located on the roof of one of the buildings. I was immediately drawn to the exhibit, because of a photo taken of a woman making her own path through the exhibit of flowers. Don’t ask me why, but I thought to myself,”Surely that isn’t the path you’d take through something like that”. “Why would she do that and go directly through the exhibit like that?” You’d need to see the photo to know exactly what I’m talking about, but humor me and use your imagination here. When I finally made it to the exhibit I was snapping away, watching various couples and families throw their kimchi fingers in the air, kiss, hug, pose, etc. I saw most of these couples and families stay on the outside border of the exhibit, but noted a few that made their own random path right through the flowers for the perfect photo, like the women in the photo I mentioned. Here is why…. Because we all are on our own paths in life. I’ve learned that to get the most of your own path in life, you need to be happy for others on their own path. Even though we find ourselves comparing sometimes, no single path is right for us all. Think about it…Does it matter that they are going a different direction than you? Does it matter that they are making their own path through the enchanted flower garden of life? No. So when it comes to your own personal path, why let others paths discourage you? The takeaway is simple, we all need to encourage, celebrate and support our friends, co-workers and families on their own path through the enchanted flower garden we call life. Enjoy the views and don’t get discouraged on your path!